Enter the Permit # OR to display a list of active permits in your name, you may enter the dates only. Safety is of the utmost importance to our inspectors; therefore please ensure there is safe access to the area that is to be inspected. Proper access, such as clear walkways, an appropriate ladder, etc. must be provided. 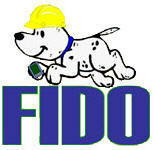 Additionally, pets should be secured away from areas where inspectors may need access. If the inspector feels that it is unsafe to perform the inspection, the inspection may be denied and will need to be rescheduled. Fire Marshal inspections of Fire Suppression and Detection Systems may not be scheduled via the Web/Internet. Please call 703-246-4821, TTY 711 between 8 a.m. and 3 p.m. to schedule. Health Department Well and Septic inspections may not be scheduled via the Web/Internet. Please call 703-246-2201, TTY 711 between 8 a.m. and 4 p.m. to schedule.